Between its thousands of members, the Women’s Land Army managed to feed the nation during Britain’s darkest years. Here, Emily Ashworth examines the work of the women, their dedication and their humble attitudes towards their contribution. Imagine the shock, excitement and sheer anticipation as 80,000 women descended on the British countryside, slipping on their breeches to proudly fill in for men away at war. For some, joining the Women’s Land Army (WLA) was a turning point in their lives, a new beginning, a chance to escape their former lives. Others fell headfirst into the landscape, having never been on a farm before and not harbouring an ounce of agricultural knowledge. 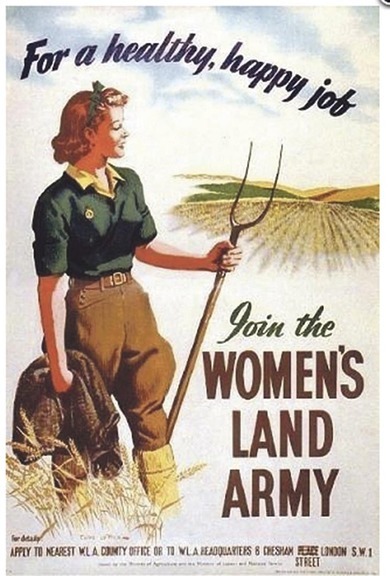 But from the many women who have since voiced their stories, there is one resounding fact: they all loved being Land Girls. While conscription was introduced in 1941 for all those aged 18-40, many continued to volunteer regardless; their eagerness born from a sense of duty and pride. Dorothy Taylor, who joined in 1944, says: “Joining up made you grow up. You had too. You went from living at home with your mother telling you what to do, to being in charge of money and becoming your own person. The women, who stemmed from diverse backgrounds, put their social class, career and ages aside to live and work with one another, shoulder to shoulder, through thick and thin. Mary Harris experienced the sincere mix of characters who fell into farming, a life changing event which has had a lasting effect on her. Part of a mobile gang – some members were shuttled to different jobs all over the country – she witnessed this for herself: “There were girls from everywhere just thrust into this work. In the name of the land, women from across the country formed almighty bonds. Not just in the form of friendships, but with farming too. With such a task on their hands, the girls set to work, but it seemed even though their days were laborious and long, many found solace and fulfilment in their workloads. For Clare Arnold, a former Land Girl from Staffordshire, it was the freedom and independence the life- style gave her. Yet for others, such as Joan Ackrill, the choice to go and work in the beautiful British countryside gave her the ultimate chance to escape south east London. She says: “My husband came from farming stock, but I didn’t. I am a country girl only by adoption after joining the WLA in 1947 at the age of 17. “With 19 other brash little Londoners, I came to Oxfordshire to be a Land Girl, but I don’t know what made us think we could farm. Most of us lived in council flats without windows. From ditching and hedging to hoeing and picking sugar beet, each member has fond memories. 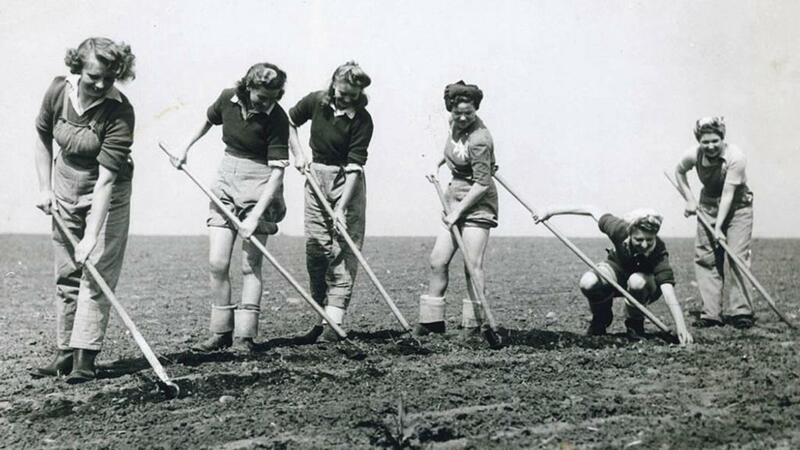 “I used to love ploughing,” laughs Jean Bindoff, who was stationed in a hostel in Aylesbury in 1946. Pose the question of pride to any WLA member and you will more than likely receive the same answer: they are profoundly proud and rightly so. Prior to their formation, 70 per cent of Britain’s food was imported at the beginning of the war, but by 1943, this figure was reversed. Clare says: “It was the making of me. Not just physically, but mentally too. It made me feel more grown-up. But when adding they honestly did not think they were doing anything special, Clare probably speaks for other members too. For Jean, a lady born and bred in Birmingham, it was a question of embracing the opportunity. “There were eight of us at home and when we were growing up in the city, we never got to see anything like it before. Often referred to as the unsung heroes of World War Two, their work has only been recognised fully over the last few years. In 2014, a memorial was erected to honour all Land Girls and Lumber Jills following a three-year fundraising initiative. The Staffordshire Women’s Food and Farming Union (WFU) cam- paigned to raise £90,000, with many of the donations coming from the Land Girls and Lumber Jills themselves, such is their feeling of pride in the new memorial. 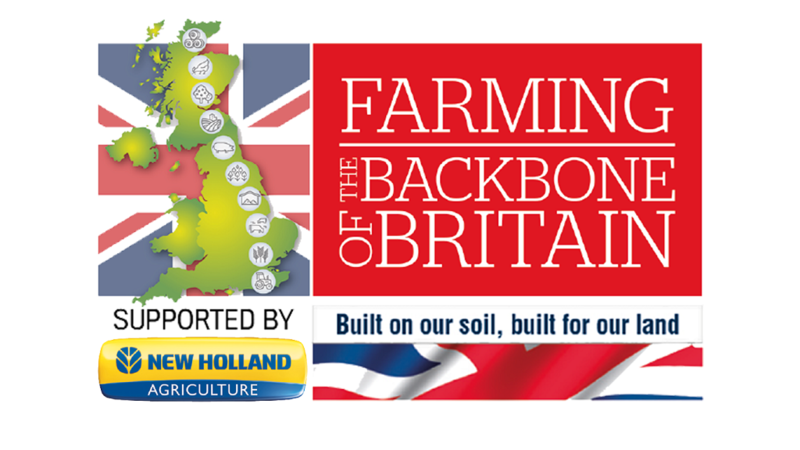 “The contribution these women made during the war years ensured the nation was fed and they changed the face of British agriculture. In true WLA spirit, it is Clare who ponders over probably the most relevant question of all.